The explosion of available data coinciding with the continued evolution of statistical and computational methods has resulted in a new breed of specialist. These data scientists use rigorous statistical methods to find meaning in data. Minimizing a loss function is not enough: Business and societal decisions hinge on the interpretation of these insights. The world of scientific computation is rapidly evolving. Quick-and-dirty scripts are not enough: A maintainable code base and collaborative development environment allows projects to productionalize and scale. A data scientist must wear many caps, we present two of them here. Maintainable coding techniques will be taught using test-driven-development, version control, and collaboration. 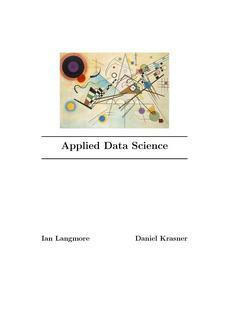 Code will be of the type found in the scikit-learn and statsmodels packages. Students finish the class having created a library on GitHub, and an understanding of several core statistical/machine-learning algorithms. More information is available at the course webpage. 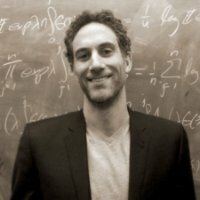 Daniel Krasner is the founder and CEO of Merriam Tech, a company whose products combines techniques from archival research - a focus on meaning and context - with statistical language processing to bring intuitive and insightful interaction to extensive collections of electronic text. Before that, he was a mathematician (Columbia University PhD) working in the intersection of low-dimensional topology, representation theory and homological algebra. Ian Langmore is a Software Engineer at Google, an applied mathematician working as a data-scientist. 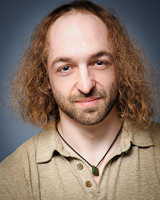 His specialities are Monte Carlo simulation, machine learning, statistics, partial differential equations, scientific computation.